For those short on time, or cannot make it to a workshop. Try a workshop in a box. 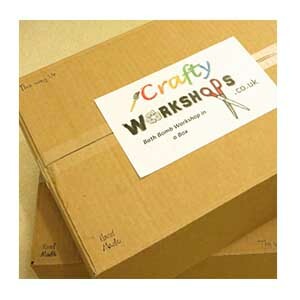 It is a box full of the materials and instructions needed to try out a workshop in the comfort of your own home. You can choose from one of the many workshops that we offer or you can choose a mystery workshop in a box and it will be delivered to your door (UK Only).